You know how this works, the weather warms up and the family wants to eat out on the deck. While your family sets the table and enjoys drinks and conversation, you’re stuck in the kitchen cooking. Since it’s impossible to bring the deck inside, it’s time to take the kitchen out to it. 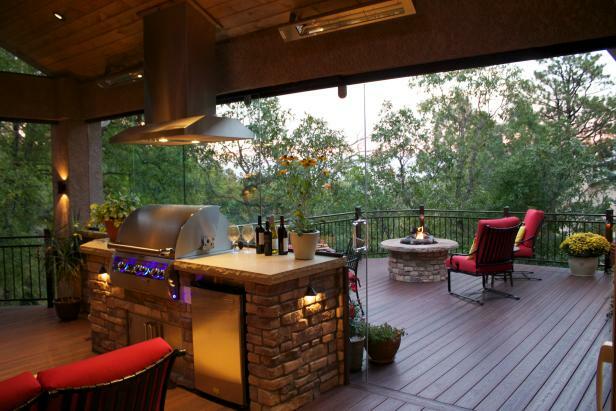 This summer, it’s time to add an outdoor kitchen to your deck so you don’t miss a moment with your family and friends. The addition of a wood oven or pizza oven makes it easy to bake a casserole or your kid’s favorite cheese pizza outside while you enjoy time with them. The addition of counter space means you can prepare your dishes outside as well. For amazing steak, consider the addition of a BBQ station. These stations come in many sizes so you can get multiple levels to cook steak on one, corn and potatoes on another. If you have a lot of parties in the warmer months, then a bar with the addition wine cooler on your deck can make life simpler for you. Keep guests from tracking in and out of the house to refresh their drinks with this addition. Also, you won’t need to ice wine and champagne to keep them cool on a warm night when you can just stash them in the cooler between pours. Turn your weekend brunch into a special affair with a brunch bar addition to your deck. Add a refrigerator to keep eggs, milk, and other perishables cool until they’re needed. A griddle top makes it possible to whip up eggs and bacon or French toast and pancakes while spending time with your family. Splurge on an outdoor dishwater, and you won’t have to leave your outdoor oasis until lunch. 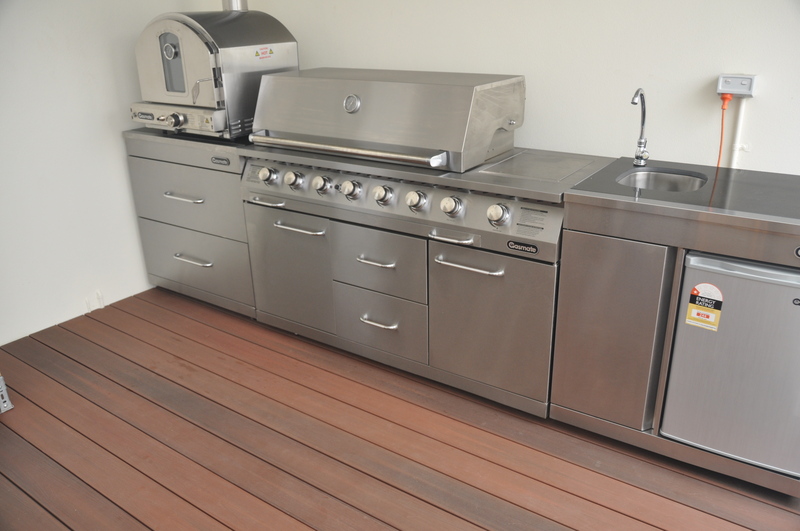 At NexGEN Decking, we can help you design your ideal outdoor deck for your kitchen. Contact us today for more information.